Enhanced V3 version of the popular Foxeer Arrow, now in mini finish. Like its predecessor, it offers a high quality CCD chip SONY SUPER HAD II (1/3"), D-WDR support, and OSD settings, plus a redesigned body with a new design, a new holder for precise angle adjustment, and a built-in microphone. The main enhancement over the HS1177 predecessor is the OSD that can display the main-battery voltage. 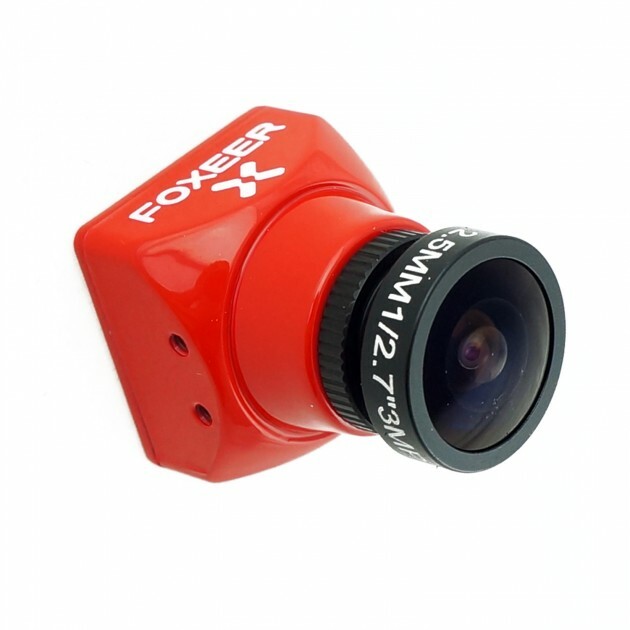 We supply the camera in the version V3 that contains a separate input for the voltage measurement from the PDB. The camera is equipped with the very popular 2.5mm HQ lens, so you will save on its additional purchase, or the lack thereof.